There are two fundamental approaches to text summarization: extractive and abstractive. The former extracts words and word phrases from the original text to create a summary. The latter learns an internal language representation to generate more human-like summaries, paraphrasing the intent of the original text. There are two fundamental approaches to text summarization: extractive and abstractive. Pre-process the text: remove stop words and stem the remaining words. Create a graph where vertices are sentences. Connect every sentence to every other sentence by an edge. The weight of the edge is how similar the two sentences are. Run the PageRank algorithm on the graph. In original TextRank the weights of an edge between two sentences is the percentage of words appearing in both of them. Gensim’s TextRank uses Okapi BM25 function to see how similar the sentences are. It is an improvement from a paper by Barrios et al..
PyTeaser is a Python implementation of the Scala project TextTeaser, which is a heuristic approach for extractive text summarization. titleFeature: The count of words which are common to title of the document and sentence. sentenceLength: Authors of TextTeaser defined a constant “ideal” (with value 20), which represents the ideal length of the summary, in terms of number of words. sentenceLength is calculated as a normalized distance from this value. sentencePosition: Normalized sentence number (position in the list of sentences). keywordFrequency: Term frequency in the bag-of-words model (after removing stop words). More on the sentence features for summarization see Sentence Extraction Based Single Document Summarization by Jagadeesh et al. In the first stage, Part-of-Speech Tagging and lemmatization is performed for every sentence in the document. In the second stage, key phrases are extracted along with their counts, and are normalized. Calculates a score for each sentence by approximating jaccard distance between the sentence and key phrases. Summarizes the document based on most significant sentences and key phrases. Published in 1958, this algorithm [PDF] ranks sentences for summarization extracts by considering “significant” words, which are frequently occurring words in a document, and the linear distance between these words due to non-significant words. LexRank is an unsupervised graph based approach similar to TextRank. LexRank uses IDF-modified Cosine as the similarity measure between two sentences. This similarity is used as weight of the graph edge between two sentences. LexRank also incorporates an intelligent post-processing step which makes sure that top sentences chosen for the summary are not too similar to each other. More on LexRank Vs. TextRank can be found here. LSA works by projecting the data into a lower dimensional space without any significant loss of information. One way to interpret this spatial decomposition operation is that singular vectors can capture and represent word combination patterns which are recurring in the corpus. The magnitude of the singular value indicates the importance of the pattern in a document. If terms like singular vectors and singular values seem unfamiliar, we recommend this tutorial, which covers the theory of LSA, including an instructive, if naive, Python implementation (for a robust and fast implementation, use LSA in gensim, of course). How to evaluate text summarization quality? For LexRank, Luhn and LSA methods we made use of the Sumy summarization library which implements these algorithms. We used the ROUGE-1 metric to compare the discussed techniques. Rouge-N is a word N-gram measure between the model and the gold summary. Specifically, it is the ratio of the count of N-gram phrases which occur in both the model and gold summary, to the count of all N-gram phrases that are present in the gold summary. Another way to interpret it is as the recall value which measures how many N-grams from the gold summaries appeared in the model summaries. Generally for summarization evaluation, only ROUGE-1 and ROUGE-2 (sometimes ROUGE-3, if we have really long gold and model summaries) metrics are used, rationale being that as we increase N, we increase the length of the N-gram word phrase that needs to be matched completely in both the gold and model summary. As an example, consider two semantically similar phrases “apples bananas” and “bananas apples”. If we use ROUGE-1 we only consider uni-grams, which are the same for both phrases. But if we use ROUGE-2, we use 2-word phrases, so “apples bananas” become a single entity which is different from “bananas apples”, leading to a “miss” and lower evaluation score. Gold Summary: A good diet must have apples and bananas. Model Apples and bananas are must for a good diet. If we use the ROUGE-1, the score is 7/8 = 0.875. For ROUGE-2, it is 4/7 = ~0.57. The above ratios can be interpreted as the amount of relevant information that our algorithm managed to extract from the set of all the relevant information, which is exactly the definition of recall, and hence Rouge is recall based. More examples of how to calculate the scores are in this gist. BLEU metric is a modified form of precision, extensively used in machine translation evaluation. Precision is the ratio of the number of words that co-occur in both gold and model translation/summary to the number of words in the model summary. Unlike ROUGE, BLEU directly accounts for variable length phrases – unigrams, bigrams, trigrams etc., by taking a weighted average. The actual metric is just precision which is modified to avoid the problem when a model’s translation/summary contains repeated relevant information. Model Summary: Apples and bananas are must for a good diet. If we use the BLEU score considering only unigrams, i.e., weight of unigram is 1 and 0 for all other N-grams, our ratio for BLEU is calculated as 7/9 = 0.778. For weights [0.6, 0.4] for unigram and bigram respectively, the ratio becomes 0.6 * (7/9) + 0.4 * (4/8) = 0.667. The key intuition behind modified N-gram precision is that a reference phrase/word should be considered exhausted once it has been identified in the model summary. This idea addresses the problem of repeated/over-generated words in the model summary. Modified N-gram precision is computed by first finding the maximum number of times a word/phrase occurs in any single reference. This count becomes the maximum reference count for that word/phrase. We then clip the total count of each model word/phrase by its maximum reference count, add the clipped counts for each word in the model translation/summary and divide the sum by the total number of words/phrases in the model translation/summary. The link to the paper on BLEU (see above) has good examples on its modified N-gram precision. TL;DR: The greater the ROUGE and BLEU score, the better the summary. Comparison was performed using the Opinosis dataset of 51 articles. Each article is about a product’s feature, like iPod’s Battery Life, etc. and is a collection of reviews by customers who purchased that product. Each article in the dataset has 5 manually written “gold” summaries. Usually the 5 gold summaries are different but they can also be the same text repeated 5 times. For Gensim TextRank, the count of words in the output summary, word_count was set to 75. For Sumy-LSA and Sumy-Lex_rank the count of sentences in the output summary(sentence_count) was set to 2. ROUGE scores for every summary is the maximum ROUGE score amongst the five (individual gold summary) scores. For BLEU score we used NLTK’s bleu_score module with weights for unigrams, bigrams and trigrams as 0.4, 0.3, 0.2 respectively. 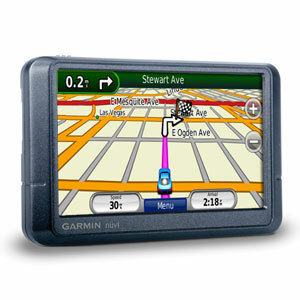 For a concrete example, have a look at this review of the Garmin 255W navigation device. See both the human and model-generated summaries. LexRank is the winner here as it yields a better ROUGE and BLEU score. Unfortunately we found the summaries generated by it to be less informative than summaries by Gensim’s TextRank and Luhn’s model. Furthermore, LexRank doesn’t always beat TextRank in the ROUGE score – for example, TextRank performs marginally better than LexRank on the DUC 2002 dataset. So the choice between LexRank and TextRank depends on your dataset, it’s worth trying both. Another conclusion from the data is that Gensim’s Textrank outperforms the plain PyTextRank because it uses the BM25 function instead of Cosine IDF in plain TextRank. Another point from the table is that Luhn’s algorithm has a lower BLEU score. This is because it extracts a longer summary and hence covers more reviews of the product. Unfortunately, we couldn’t make it shorter because the wrapper for Luhn’s algorithm in Sumy doesn’t provide the parameters to change the word limit. Google’s Textsum is a state of the art open-source abstractive text summarization architecture. It can create headlines for news articles based on their first two sentences. It has shown good results after training on 4 million pairs from the Gigaword dataset of the form (first two sentences, headline). During training it optimises the likelihood of the summary given the article’s first two sentences. Both the encoding layer and language model are trained at the same time. In order to generate a summary it searches the space of all possible summaries to find the most likely sequence of words for the given article. Here is an example of the data used for training the TextSum model together with the model-generated summary. Article novell inc. chief executive officer eric schmidt has been named chairman of the internet search-engine company google . Notice that the word “head” doesn’t appear in the original text. The model has generated it. This would never happen in an extractive algorithm above. We ran the Tensorflow network provided by Google and tweaked some of its hyperparameters. Unfortunately we could only train the model for 10% of the time of what was needed and got summaries of very low quality. We couldn’t even use the ROUGE and BLEU scores above due to the summaries not making any sense. To compare different tweaks to the neural network architecture we had to resort to using a mathematical measure of the model fit on the training set “running average loss”. The average running loss graphs for the models can be found in this gist. How much is “sufficiently trained”? week. That is equivalent to 7000 GPU hours or $30k AWS cloud credits. We didn’t have such hardware resources at our disposal. Also Google TextSum authors use the Annotated English Gigaword dataset which requires a $3000 license. So instead, we use a relatively small but free news article data set: CNN and DailyMail. These 320k articles are converted into a Textsum compatible format and vocabulary. You can generate your own TextSum compatible pre-processed CNN and DailyMail Data by using our code from github. Initially, the training with default parameters was done on an NVIDIA GTX 950M laptop but the algorithm did not seem to converge even after training for more than 48 hours. To speed up the process and generate meaningful summaries we switched to a g2.2xlarge Amazon EC2 instance, equipped with NVIDIA’s K520 GPU. Some examples of the very bad summaries generated by our insufficently trained TextSum model. This is similar to the attempt to train TextSum in Pavel Surmenok’s blog. The generated summaries for a major portion of the test set are redundant and do not resemble the actual summaries in the test set. Certain words recur in many summaries irrespective of whether or not these words are present in the the actual articles and their summaries in the test set, e.g. the phrase “manchester united” and “manchester city” repeat a lot of time in the generated summaries. Another observation is that initially (global_steps< 50000) the model was not generating grammatically correct sentences, as we trained the model for a greater duration the generated summaries began to make some sense and the grammar was somewhat more correct. However, the generated summaries were still completely irrelevant to the original articles as well as the corresponding human-written summaries. There was a visible improvement in loss (and in the semantic quality of summaries) only after 50,000 time-steps. After having trained for 100,000 time-steps for close to one day, we observed the quality – here we use our subjective understanding to judge said quality – of summaries improve ever so slightly. Even so the summaries are clearly not up to the mark. This is to be expected, given the training time. The authors of the model claim that it is possible to get much better results provided the user is willing to trade-off in terms of required time and compute. For extractive techniques, our metrics tell us that LexRank outperforms Gensim’s TextRank by a narrow margin but we’ve also observed cases where TextRank gives higher quality of summaries. We believe that the dataset which is used affects the quality of obtained summaries. A good practise would be to run both the algorithms and use the one which gives more satisfactory summaries. A future direction is to compare Gensim’s TextRank implementation with Paco Nathan’s PyTextRank. Due to lack of GPU resources and a lot of parameters to tune we end our research on abstractive summarization at a point where we cannot conclude with absolute certainty that the model can be used as an alternative to current extractive implementations. But of course, one can always try training the model for a few million (more) timesteps and tweak some parameters to see whether the results get better on CNN-Dailymail Dataset or on another dataset. 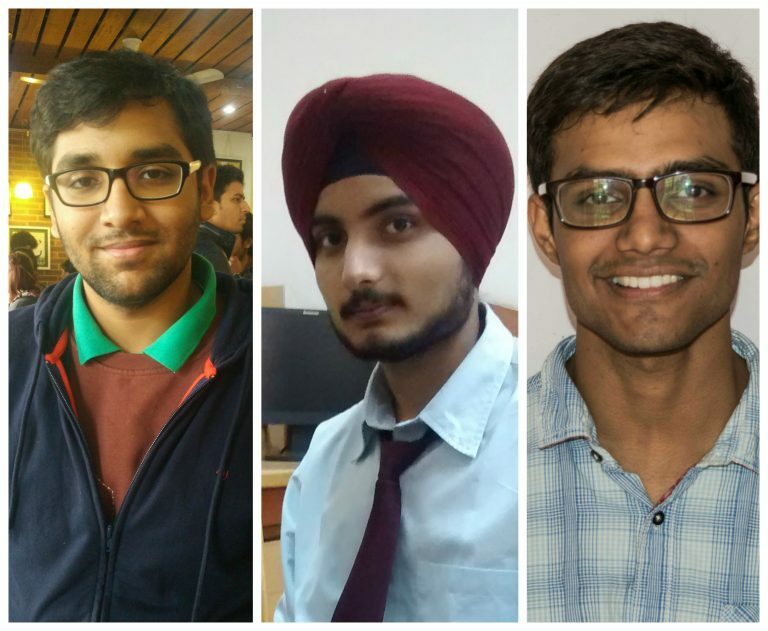 Pranay Mathur, Aman Gill and Aayush Yadav are Computer Engineering students from Pune, India. Their fields of interest are Deep Learning and AI.